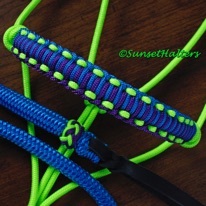 Need more info on rope halters and fit? 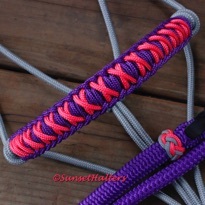 Check out our 'Rope Halter Info and Fit' page. 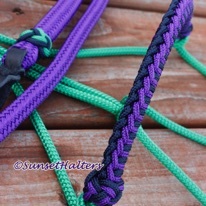 These are made from 1/4" yacht braid rope. This rope is soft and slick, making it comfortable-- even for thin skinned horses. 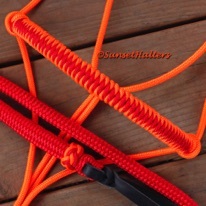 We use a fiador knot at the chin, our special knot at the throat latch, along with the round lover's knots throughout the halter-- including the tie off. 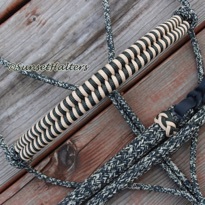 These have a spliced, hand sewn sliding browband. The side straps have two conway buckles for easier adjustment and snap replacement. 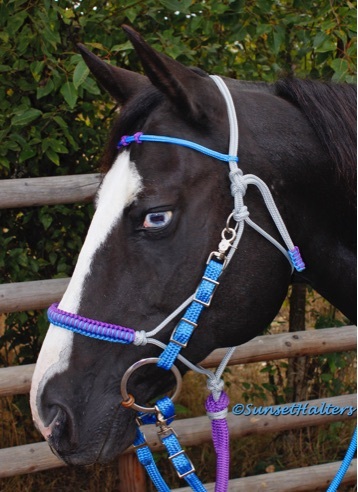 Also included is a patterned 1/8" wrapped noseband, and decorative knots on the browband. You pick the pattern, and one or two different colors. Bit not included- reins,lead and chin strap sold seperately. Available in 7 sizes, starting at $47. 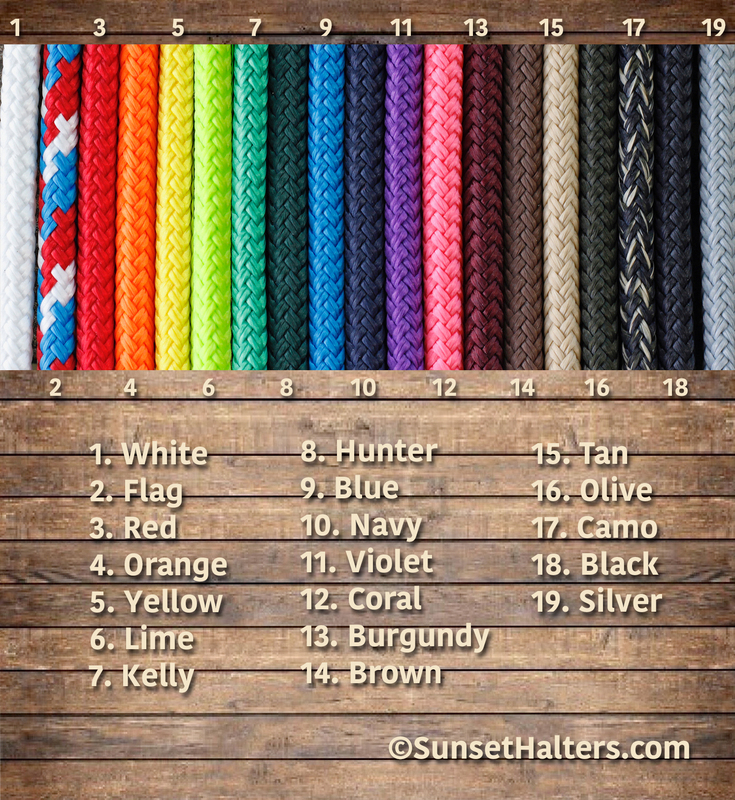 Click color chart for larger view of halter and browband colors. 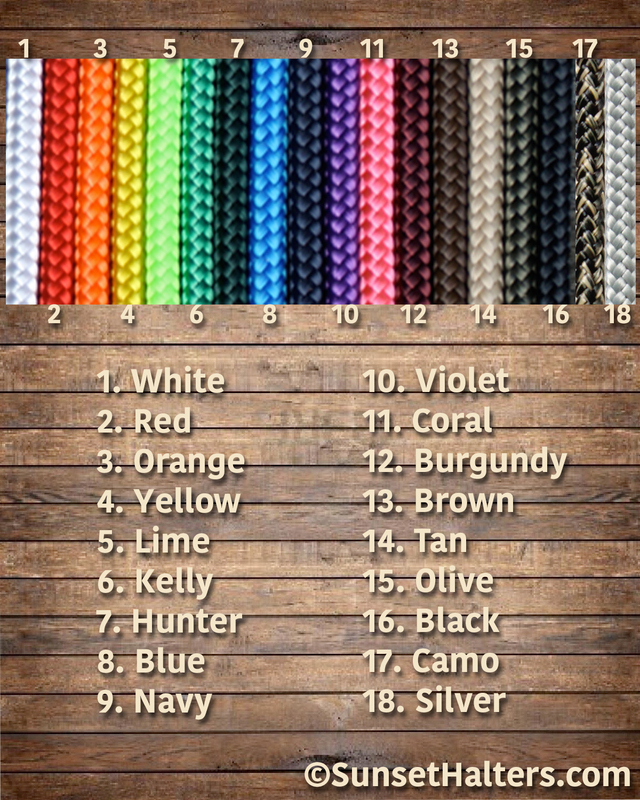 Click color chart for larger view of noseband wrap colors. 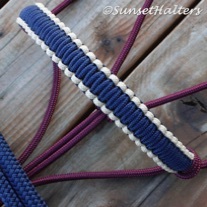 If you would rather add one of these 3 strand nosebands to your halter/bridle, they're just a bit more. Cost depends on noseband size. Be sure to specify where you'd like each color.